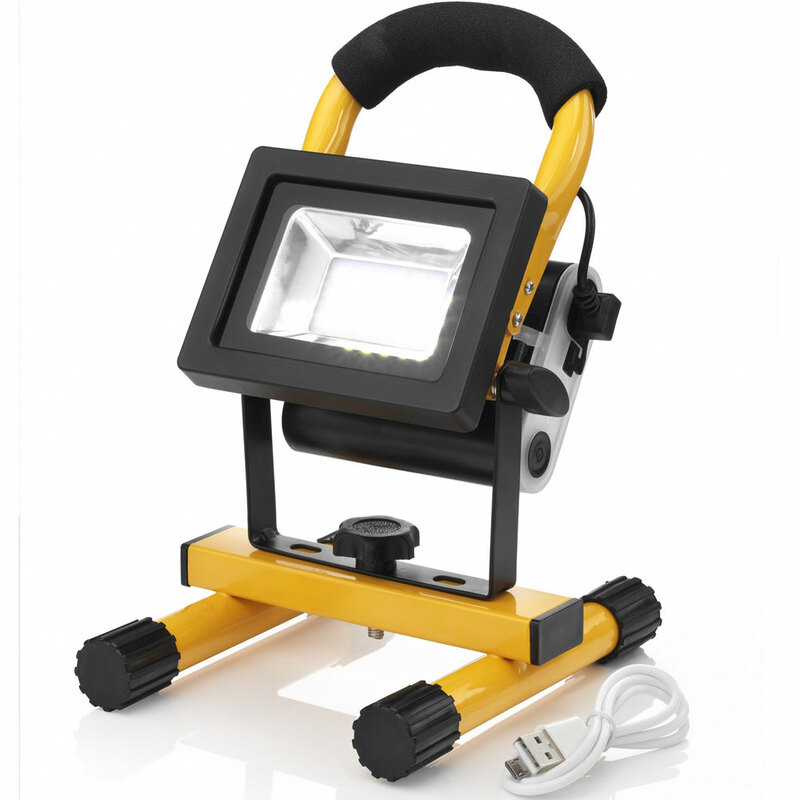 Multi Use Sturdy Rechargeable Flood lights that don't cost the earth? This incredible portable flood light is so energy efficient, it can last 4 hours of full brightness on a single charge. Only 10w power consumption but equivalent to a 100w halogen! When the flood light needs charging the removable power bank just slides out and can be charged by any USB power source. Flood light has endless applications such as lighting workshops, garages and other environments where no mains supply is available. Not just a rechargeable LED flood light but also an emergency power bank for charging your mobile phone or any other USB devices! Ideal for camping or night fishing for not only lighting up the dark but also for getting you back up to full power! I take on a lot of jobs and at this time of year as the nights draw in I need lighting as I work long hours, this light is a god send to be honest, bought one of those usb cigarette lighters and I can recharge it in the van as i go... it is a really bright flood light and provides me with ample light to finish up jobs, I am really honestly surprised how bright it is and how long they last, times have definitely moved on !! definitely gonna get another one at this price.